Most of us will have mixed days. Something we have to hassle with a bit. Perhaps a family fuss getting out the door, and then putting up with Uncle Freddie’s bad jokes and Aunt Marge complaining that the dressing is dry. But once everyone settles in for the football, it’s all good. 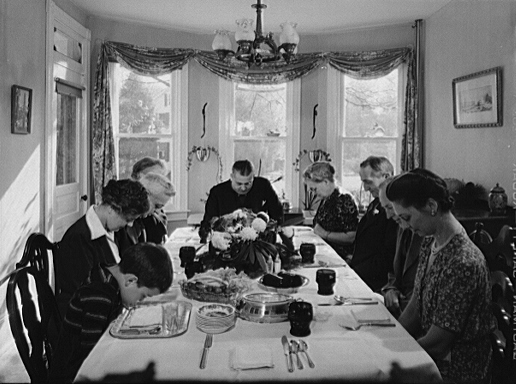 For some, though, Thanksgiving can be a gut-wrenching ordeal. The hassles are extreme, and the holiday becomes an endurance test of dysfunctional abuse that demoralizes us and convinces us that we deserve nothing from life or ourselves but the crumbs of inadequacy, malcontent, and failed expectations. If you are suffering, our hearts and prayers go out to you in the hopes that one day, you will get out. Wherever you are in Life’s pilgrimage this Thanksgiving, Holmes and I wish you peace. We will see you back here on Monday, November 26. Wherever you are in life’s pilgrimage this Thanksgiving, Holmes and I wish you peace. We will see you back here on Monday, November 28.